- Time display function, also can be used as a watch wonderful gadget for traveling. - Small size and lightweight. Adopts wireless receiver device with steady transmission and sensitive record that gives more convenience while riding. 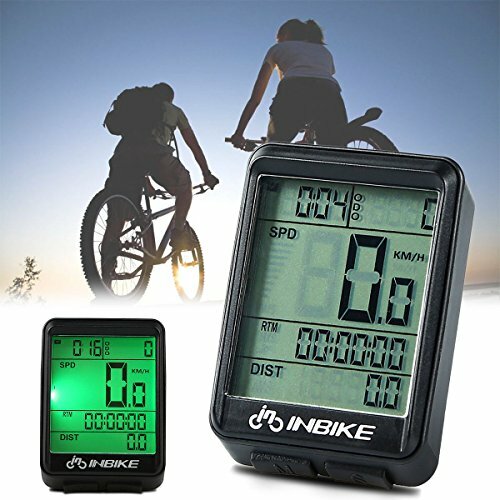 This wireless bicycle speedometer is an ideal companion for cyclists. It can read current time, average speed, riding time, total distance / total ODO, riding speed, max speed, riding distance, etc. Perfect for use when training, hiking, climbing, riding and other outdoor actives. Waterproof, superior for outdoor cycling in rainy day, keep recording accurate data. If you have any questions about this product by iGrove, contact us by completing and submitting the form below. If you are looking for a specif part number, please include it with your message.